Hi Ken : I was star gazing looking south when I spotted a pulsing white light that was slowly moving around in the night sky. I immediately looked through my high powered binoculars only to see that the pulsing white light was in fact being emitted from an object that looked just like an Adamski type saucer. The saucer had a dome on the top of it with round windows that appeared to go all the way around the craft. But what really caught my attention was the three spheres on the bottom of the craft that were glowing a dull red. I quickly grabbed my camera and took a photograph of it and as I did the whole craft lit up in very bright colours. 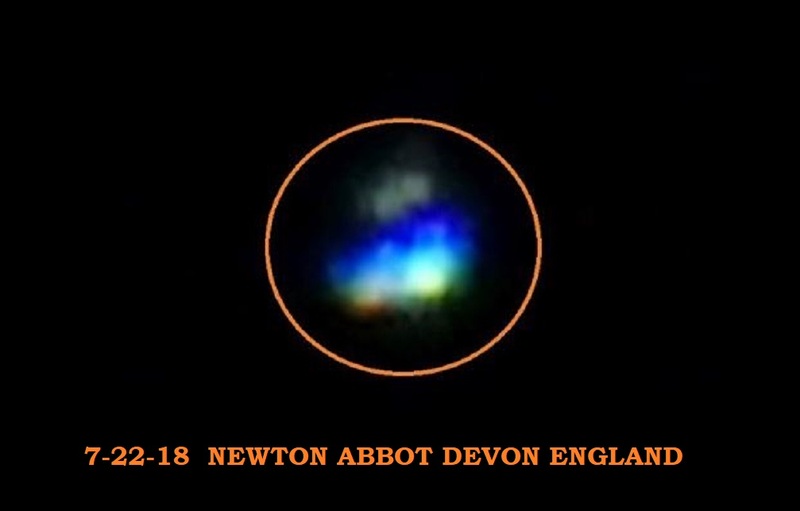 It was amazing the middle part of the craft was glowing a beautiful aqua blue while the spheres on the bottom of the craft were flashing yellow green and orange. However the dome on the top of the craft remained a grey colour through out the sighting. I also noticed a thin green mist that permeated around the craft. I watched in amazement as the craft slowly moved across the sky heading away from me towards the south.‎ I eventually lost sight of the craft as it moved off into the distance and disappeared over a wooded area. The next morning I watched the local news to see if anyone had seen and reported the craft to the local media but to my dismay no one had. I count myself very fortunate to have seen and photographed this incredible alien craft. 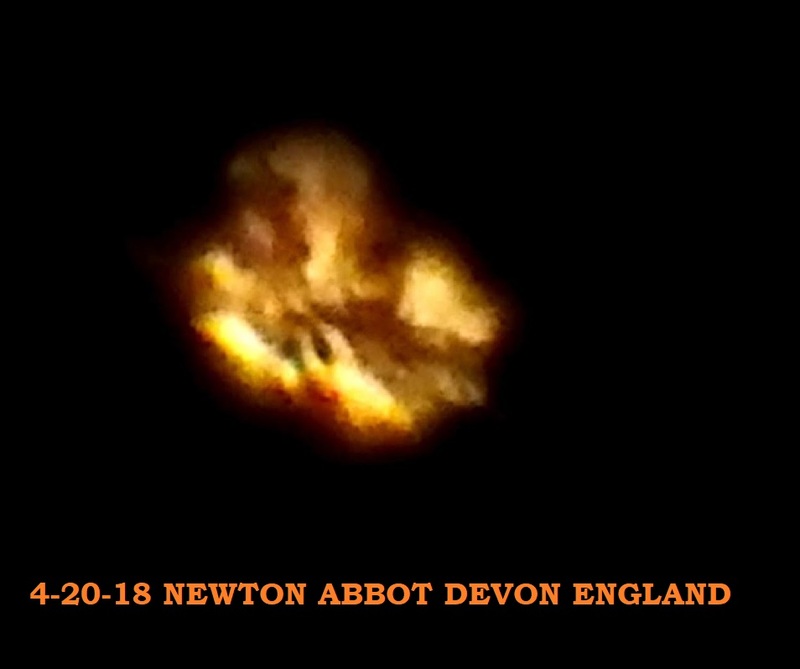 The photograph was taken on the 22nd of ‎July ‎2018, 10:46 PM at Newton Abbot Devon England.